Camp Constitution’s 2015 annual family summer camp concluded Sunday at the Toah Nipi Christian Retreat Center in Rindge, NH Attendees came as far as Texas, Florida, and Michigan. Guest instructors included constitutional attorney, and author, Mrs KrisAnne Hall, Mr. Tom DeWeese of the American Policy Center and one of the nation’s leading experts of Agenda 21, Earl Wallace, author of the “Three Dimensional Leader,” Pastor Garrett Lear, the Patriot Pastor, Dan McGonigle, author of “Execute the Laws to Restore the Republic,” and Rev. Steve Craft. In addition to the excellent instruction, campers and staff alike took a field trip to the Boston Tea Party Museum, and a trip to the Massachusetts State House where they were greeted by State Representative Leah Cole. 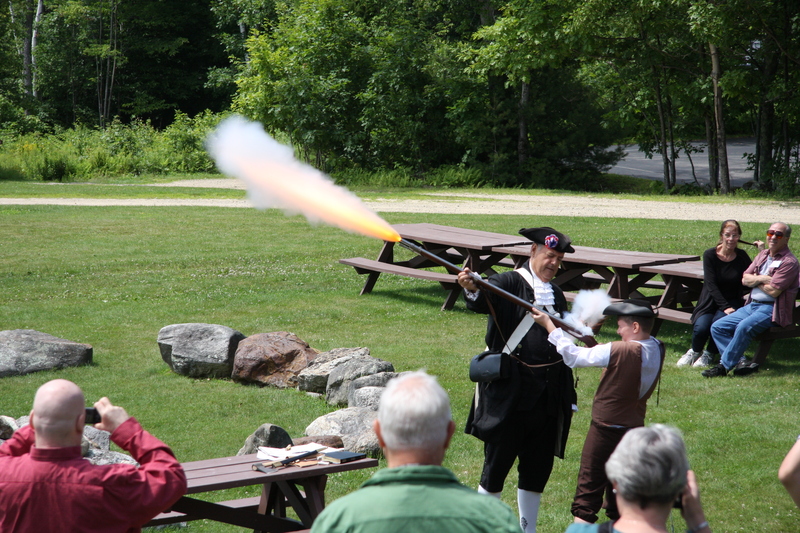 Other activities included an outreach to the neighboring town of Winchendon, MA were campers distributed copies of the U.S. Constitution to business owners and local elected officials, and a hike up Mt. Monadnock in nearby Jaffrey, NH. Recreational activities at the camp included wiffle ball, volley ball, basketball, swimming, boating, and even ballroom and line dancing instruction. The camp published a daily newspaper which contained the results of the daily room inspection. interviews of instructors, and other items. Each year, staffers choose two super campers, one boy and one girl. This year’s winners were Jillian Kalis and Mike Smith.